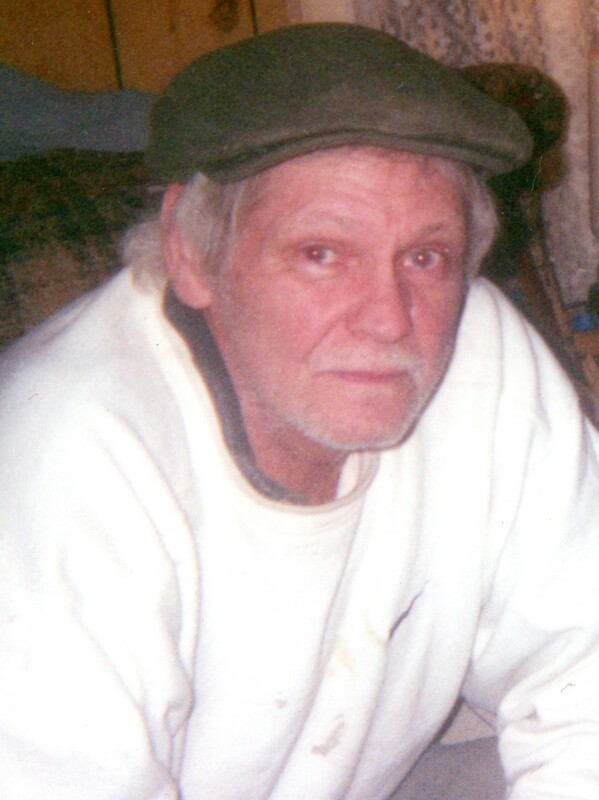 GORHAM - Jack Fogg, 64, passed away after a year long battle with cancer on Saturday, April 21, 2018. He died at Gosnell Hospice House in Scarborough, surrounded by the love of many family and friends. He was born in Westbrook ME on Aug. 4, 1953, son of Horace “Bud” Fogg, Sr., and Marie G (Beckwith) Fogg, both of Gorham. Jack grew up in the Little Falls area of Gorham and loved everything about his community, past and present. He loved the history of the area and of his 1800’s home; he loved his family and friends and the antics and stories they created together over the years. He graduated from Gorham High School in 1971, best known for his athletic prowess in soccer, basketball, and track and for his attitude of pushing himself to do whatever the team needed of him to contribute to their success. He also graduated from Southern Maine Vocational Technical College with a degree in building construction. While there he also studied Plant and Soil, something that fed his lifelong love affair with creative gardening for fun, food and health. In addition to his love of family, friends and sports, he loved the outdoors and hunting, fishing, golfing, and gardening. One of his favorite things to do was going fishing at Muddy River, by himself, where he was free to commune with nature- his church of choice. He enjoyed coming home after work and relaxing in his recliner with a cold beer and with his cat and best friend, Smokey. This picture of contentment was completed with his TV, his music, and mostly, the sounds of his grandchildren’s feet on the floor above him. Jack is survived by his two daughters, Danielle Dame of Standish and Ember Fogg of Gorham, and two stepchildren, Chelcey and Nathan Vachon of Biddeford. He has three delightful grandsons, Tyler Haskins, Wyatt Walker, Colton Walker, and a forth grandson is due to arrive in May. Jack is also survived by his siblings Harvey Fogg and wife Delores of Little Falls, sister-in-law, Vicki Fogg of Little Falls, Mary Fogg and partner Jean Gordon of Gorham, and Gail LeBlanc and husband Edward of Gorham; and many dear nieces, nephews, cousins and friends. He is predeceased by his father, mother and his beloved brother, Horace H. Fogg, Jr.
One friend remembers him as, “Jack Fogg – the man, the myth and the legend. Jack was a free spirit who lived life on his terms and died on his own terms. … His happy personality will be missed.” Indeed, he filled a room with his personality and his antics. He wore his heart on his sleeve, loving deeply and loyally. And, at the same time, let’s not forget how hard-headed he could be. One of his mantras was “I hate change!” And he meant it! The proof of how much he was loved began when he was first diagnosed. Vicki, Mandy, Jason, Jon and Kimberly came for several weekends as part of a cleanup crew to get the house and yard in order for the journey we were all facing. Jack was so touched by this. Standing in the family circle in the yard with soft tears running down his face, he stated, “I didn’t know that my family cared about me this much.” Special thanks to this first “Crew.” Then there were all the friends that kept stopping by to be with him. And the many, many friends and family members that showed up to take on chores around the house in his stead, often buying supplies and putting in labor as a heart gift. Special thanks here to Peter Fogg, Mike Proulx, Val Bonin, and Greg Stone (“Stoney”). As we needed more than one person at a time caring for him at home before it was time for him to go to Gosnell House, we had yet another crew. Special thanks to family, Nate Vachon, Sonya Manchester, Peter Fogg and April Chase, and to dear friends , Linda from Massachusetts, Bethany O’Connor-Manuel, and Bonnie Miller. And last but not least, deep appreciation to Hospice workers, both in-home and a t Gosnell. And last but not least, the family would like to thank Hospice of Southern Maine for all of their help these last couple of months. Special thanks to Cindy, his CNA, who made Jack feel comfortable and loved especially in his last days. And to Martine, his social worker, who also went the distance for Jack and for his family. We are grateful beyond measure for all that you gave. And to Gosnell House for fighting the good fight with us to the end. Please visit www.advantageportland.com to sign Jack’s guestbook and leave memories and condolences for the family. A simple and heart-filled graveside service will be held at 10am on Sunday, May 6, 2018, at Hillside Cemetery, Huston Road, Gorham.